Fast forward two years later and there I was with a two year old whirlwind who had lost most of her sweet newborn sweetness and I started to begin to understand how Anger could creep into a Momma’s heart. Fast forward another year and now I have a three year old (oh how she’s three!) and a one year old and I battle Anger it seems like everyday! God has used that conversation and my daily struggle to teach me a few things. First of all- keep your thoughts, judgements, and words soft and sweet, because you will probably have to eat them one day! How I wish I would have listened to my friend with a soft and understanding heart and been wise enough to learn from her struggles! Maybe then I could have put some practices in place to help me avoid this struggle. Or at the very least, I wouldn’t have a nagging voice in my head saying “How could you get angry at your own kids? They’re just kids after all…“. I guess my Mom was right when she said “Never say never!” Funny how Moms seem to get smarter the older we get, right? Second of all, God’s Word is full of helpful advice and warnings about Anger. My go-to verse when I’m struggling is James 1:19-20 ““My dear brothers and sisters, take note of this: Everyone should be quick to listen, slow to speak and slow to become angry, because human anger does not produce the righteousness that God desires.” Now let me first say, I need this verse because it’s the exact OPPOSITE of how I typically respond. I’ve always been a fast talker. In fact, most of the time I start talking before I really think about what I’m going to say! Anybody else fall into that trap? So being slow to speak is exceptionally hard for me, especially when I’m upset. “Slow to become angry“- This is a challenge and a comfort to me. It doesn’t say “don’t ever get angry”. Sometimes it’s okay to get angry. Even Jesus got angry. But as Ephesians 4:26 says “““In your anger do not sin”: Do not let the sun go down while you are still angry”. We are not to let anger lead us into sin and we are not to let anger linger in our hearts. Which brings about the last part of the verse- “human anger does not produce the righteousness that God desires“. That’s what it’s all about, isn’t it? God desires righteousness. And I’m learning that there are some lessons that I just don’t learn the easy way. But God knew that about me, and I think that’s just one of the reasons He allowed me to become a Mom. Because there were parts of me that needed tuning and I wouldn’t have had to face them any other way. Like anger. And that’s something I need to remember, especially when I’m starting to get angry towards my kids. It’s not about doing things MY way, it’s about, or at least it *should* be about, God’s righteousness. And yelling at my kids probably isn’t going to lead them down the path of righteousness. And most likely will lead me to sin. So now for a little real life. I’ve found that I’m far more likely to become angry when I haven’t taken care of myself right first. When I’m tired, hungry, and cranky, anger just comes far to easily. But when I’ve been purposeful about getting rest and taking care of myself some too, I can at least realize that I’m starting to get angry and that I should slow my heart down. 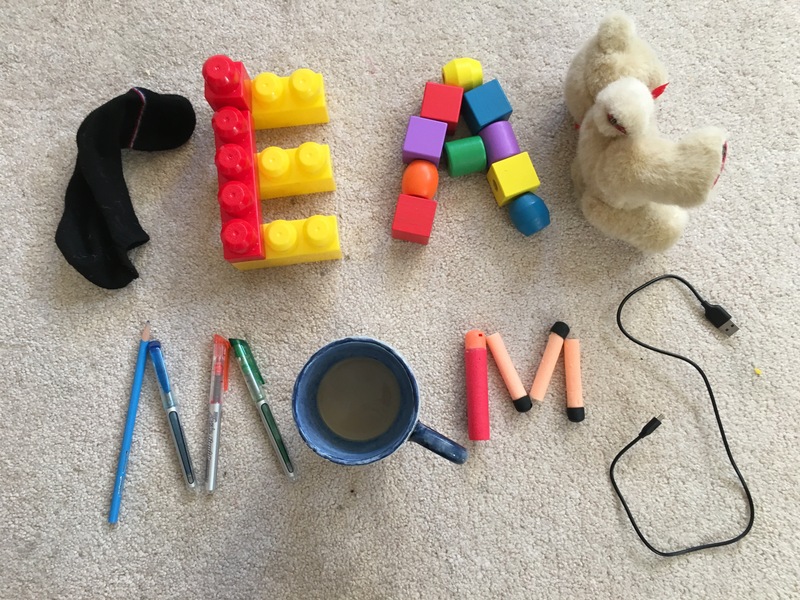 Remember, this is real life for real moms. I’m not going to give you “5 tips to get rid of anger forever” or even tell you that with just a little (or even a lot) more sleep and a few verses under your cap you and I can be perfect if only we try harder. Because that’s just not the point. We can’t fix ourselves and especially not by ourselves. We need Christ. We need His forgiveness, gentleness, patience, peace, kindness, and the self-control that only He can give. And sometimes a time-out, deep breath, or a quick walk around the block gives us a chance to remember that! The Fringe Hours– an awesome book about the importance of self-care and HOW to find time to do it. The Miracle Morning– a great guide to some powerful self-care practices. 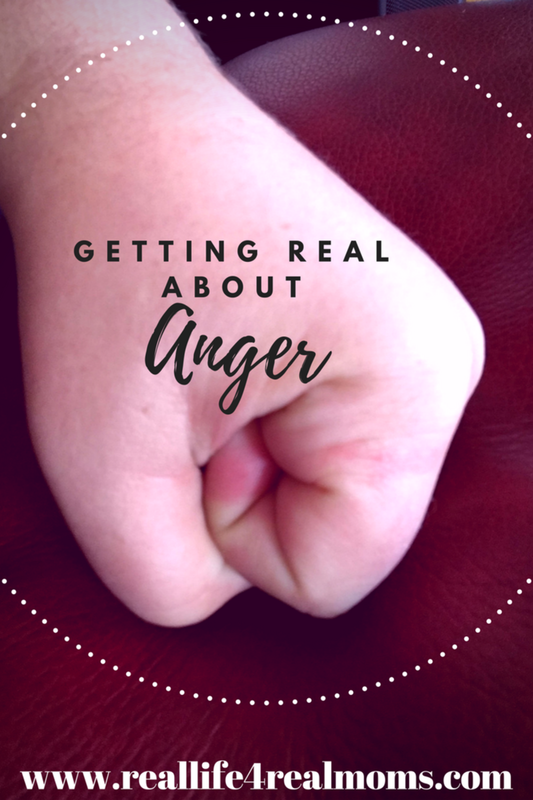 So what things have you done that help with anger? What do you do to slow your heart down? How do you take care of yourself? Comment below and let’s keep the conversation going! I know Jesus’ blood can wash our sins as white as snow, but how good is He with carpets?